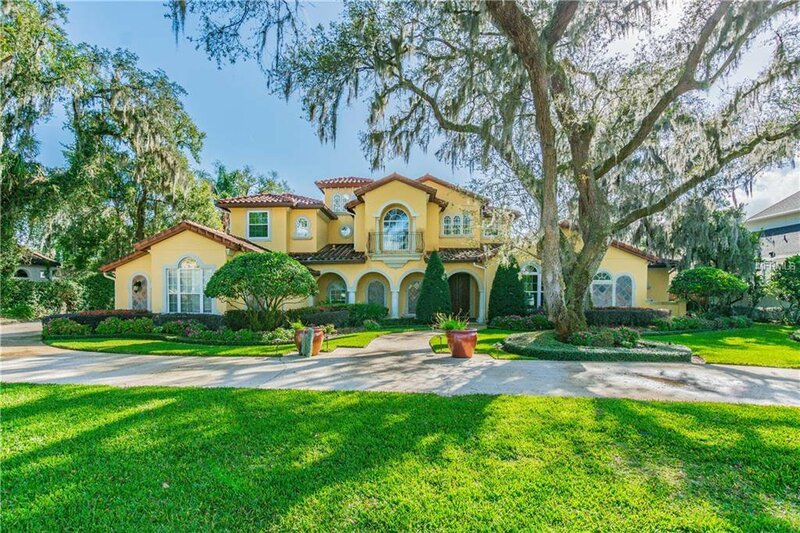 Priced below appraisal, this spacious 5 bedroom, 5 bath and 1/2 bath home sits on almost a quarter acre of land on a beautiful brick street here in Winter Park and close to all amenities. The first floor features the master bedroom and additional guest suite with 3 bedrooms and two baths on the second floor. Off the foyer is the living room, formal dining room and home office. The kitchen is complete with island, all appliances, built-in breakfast nook, butler pantry and adjacent to the family room. French doors lead you to a backyard paradise complete with pool, covered cabana with kitchen including pizza oven for some serious entertaining. Plenty of side yard also. Second floor boasts the additional bedrooms, jack and Jill bath and a bonus/playroom. The home has a side entry 3 car garage and circular driveway. A must see for your clients. Buyers, please verify room sizes and square footage as some may be approximate. Square footage was taken from builder plans. Listing courtesy of PREMIER SOTHEBYS INTL. REALTY. Selling Office: KELLER WILLIAMS WINTER PARK.